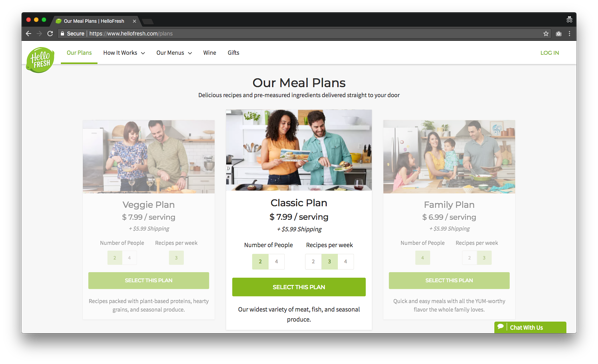 “Yum, yum, in our tums.” Today on Pricing Page Teardown, we are all about food, glorious food, pitting the first mover in the home meal-delivery kit market, Blue Apron, against one of the many clones that have come after them, HelloFresh. This battle comes down to the fundamentals of unit economics: CAC and ARPU. Both companies understand their core customer, so the winner is going to be decided by whichever can reduce costs enough and increase value enough to make the numbers work for growth. There are no single-person options. Their pricing is basically the same. The pricing is slightly higher with Blue Apron, but they also offer free shipping. HelloFresh has a “Veggie Plan,” but Blue Apron has “Vegetarian options available.” Both companies know their customer. 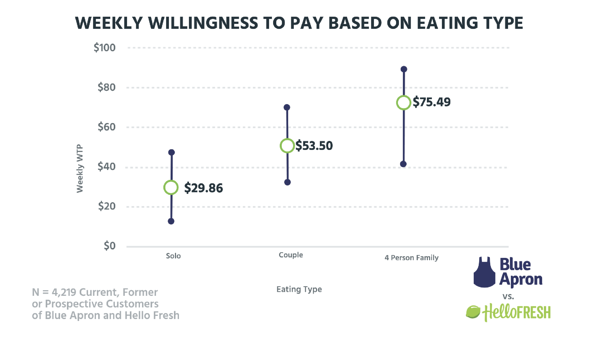 Our data from 4,219 current, former, or prospective customers of Blue Apron and HelloFresh shows that the median weekly willingness to pay for a single individual is just $29.86. 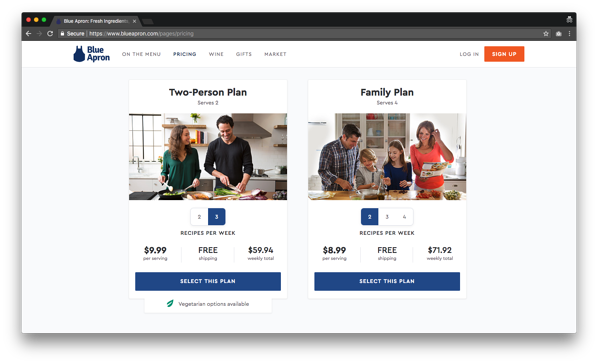 The lowest price for a Blue Apron meal kit (two recipes for two people) is almost double that at $47.95. The lowest price they push new subscribers to, the $59.94 shown above, is double the solo willingness to pay. CAC and overhead are high for home meal-delivery kits. As the market becomes crowded, Blue Apron, HelloFresh, and all the others have to spend more to acquire customers. The high expense also requires more motivation. These companies are increasing that motivation by pitching their services as entertainment rather than just a meal. You can get a meal anywhere, but great recipes and enjoyment through cooking can come only with Blue Apron or HelloFresh as far as these companies are concerned. The overhead of food preparation, packaging, and shipping is also high. CAC and overhead together mean that there is a high floor to the lowest price these companies can charge. Single people fall below that floor. 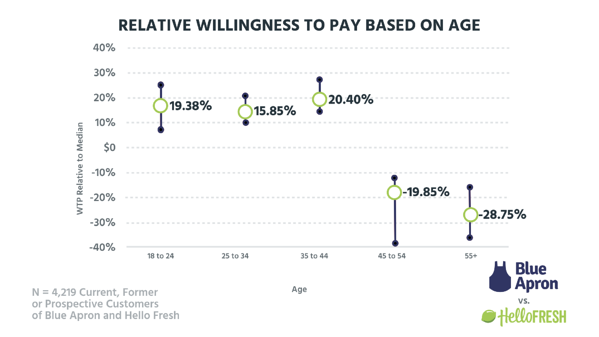 Older cohorts have a lower willingness to pay. We see this all the time in pricing-page teardowns. Rent the Runway and Spotify—older generations aren't used to the concept of subscriptions for everything. They don't see the benefits, so they have a lower willingness to pay. From these three data points—family size, income, and age—you can see that the ideal customers for home meal-delivery kits are families and young couples with incomes over 100k. These are the types of people who (a) don't necessarily have the time to shop and cook throughout the week and (b) have the money to continually subscribe to the kits. 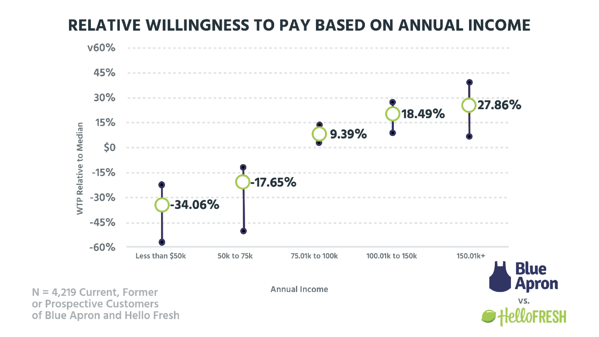 With these customers, Blue Apron and HelloFresh can recover CAC quickly and use higher pricing to offset overhead. 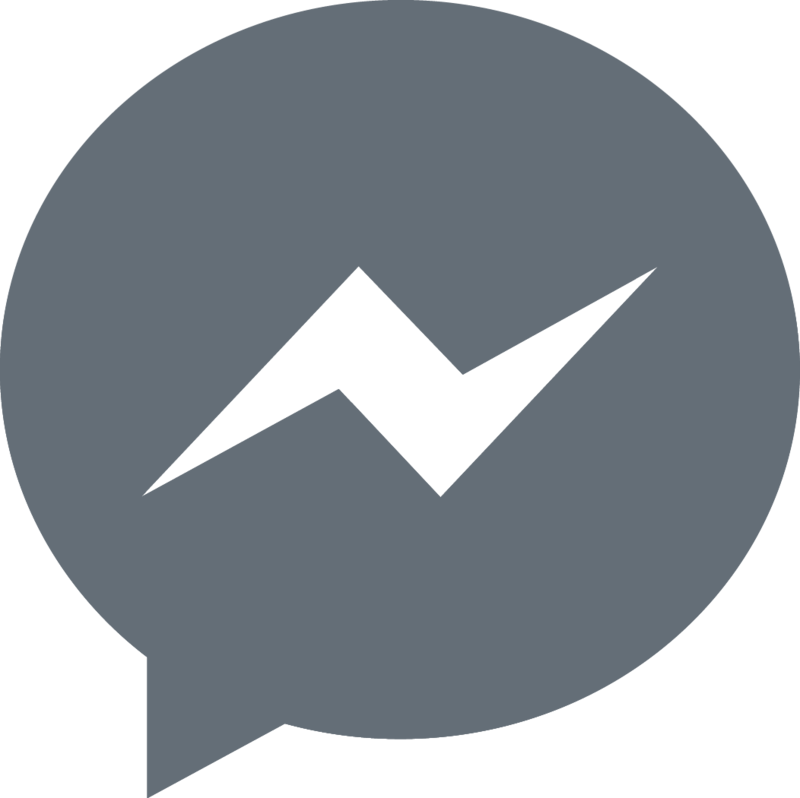 Because margins are slim for these businesses, they have to find ways to increase expansion revenue per user. Both have opportunities through individual preferences and add-ons. 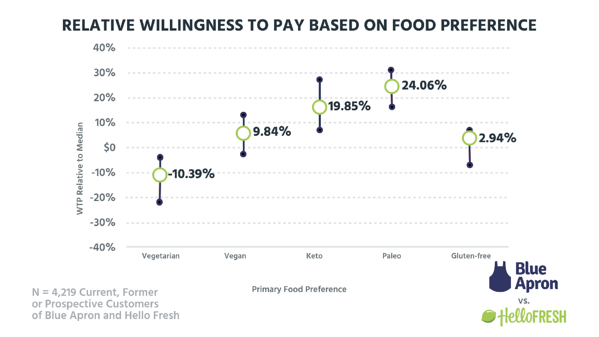 Vegetarians don't want to pay for home meal-delivery kits. Per Peter, they see the high price as subsidizing the meat eaters. Additionally, being more eco-conscious, the high level of waste associated with the packaging is a turn off for this group. One of the High Value/High WTP features is premium ingredients. These groups need to know the provenance of their food. Offering specific kits tailored to these groups would allow both companies to price much higher. This could also work as a way to increase ARPU for regular customers as well. 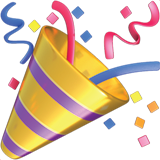 A further tier offering “premium” meals could be included in the plans. 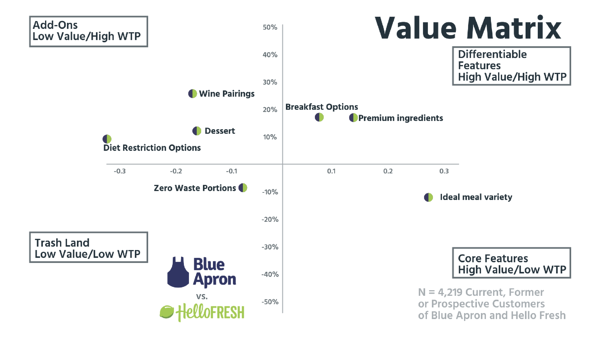 Ingredients would cost slightly more for Blue Apron and HelloFresh, but the overhead in other areas would be the same, leading to higher margins. Other possibilities for higher ARPU are breakfast options, and wine and dessert to go with the meal. It is unlikely that either CAC or overhead will dramatically drop for these companies, so increasing ARPU is the only way for the unit economics to continue to make sense. Expanding out these options will allow those ideal customers—young, well-off couples— to spend more with the service and get more in return. Blue Apron, HelloFresh, and all of the other home meal-delivery kit options know who they are targeting. They have an exact ideal-customer profile and a quantified buyer persona to match. But wishing doesn't make it so. Ultimately, the costs of logistics and acquiring customers in this market might be too much for the unit economics to handle. The only way out for both is to increase ARPU, targeting even more selective cohorts and adding on other options that increase value but can easily fit into their process. There is not much between them, and for once, the first mover doesn't necessarily have the upper hand; the one that works out the basic numbers wins in the long run. We'd love to hear what you think. Hit us up on social media @priceintel with the hashtag #PPT to tell us what you think of these products and their pricing and what you would be willing to pay for your food entertainment.